Thread for MiniGL-related news and issues. Before reporting a problem, please do "version full minigl.library" and "list LIBS:minigl.library" to indicate the library version. If you have issues with some 3rd party MiniGL library, please report those issues to people who created it. - "suspicious code in mgl_CreateContext"
With latest one i run about 10 times testgl, then Cube run/exit few times, then Q3 sdl1 version, then Q3 sdl2 version, then cube few times, then testgl 5-7 times,then again q3 sdl2 version,then again q3 sdl1 version, then cube,cube,testgl (10 times) and bllbalbalabllba : works ! What is interesting to know, is was then this issue there was for some time ? I mean, why i got that crashes and with version frmo precompiled_bins.7z, while thos eextensions parts was touched after ? Or , memory overwriten was there all the time way before 2.23 and 2.22 ? Also , maybe those "instability" issue with libtxc_dxtn wasn't libtxc_dxtn in end ? Maybe worth to try to bring it back and test all stuff again with latest sources ? Tried 3 instances of "testgl" at the same time, and iconify one , then another, and running 4st instance lockup os. I.e. not one by one and exit, but one, iconfiy, another instance, etc, and then lockup. So its _much_ better now, but still i had lockup with just pure "testgl". Maybe its even only "testgl" related. For sake of test i tried minigl.library 2.20 with "testgl" and can reproduce the lockup too ! 3) now start to run new instanses by the same "testgl &" one by one, let's say 10 of them. 5). start to deiconify them, and close, and run again and iconify, and play a little like this => crash. And that even with minigl 2.20 from os4depot. Probabaly can be related to iconify itself dunno. All seems to works and renders correctly as before, and they all works. I even tried them running one after one : no lockup or crash. Or we can bump revisions and release is at it, or if you still share motivation we can try to test the same things with enabled back libtxc_dxtn, as maybe issues happens not because of that, but because of what you fix lately. Can you update the version and date binaries ? Perhaps both release numbers should be updated at 2.23 ? Are this added automatically from MiniGL ? Yeah, something wrong at left side on top of window, but i didn't have that (not with last verison, not with previous ones). Are you sure you falsely didn't use for this test again that library from Huno ? It just looks like something from wazp3d which Huno inbuild for version you have from him. Can't see what wrong there , is problem on first screenshot what is keeps on the wall after sword, and on second one are the shadows on the face ? Did that part looks any different in compare with minigl 2.20 / 2.21 ? Did you grab the serial logs of new "testgl issue"? Tried to reproduce it hard now , and can't from first try. Then, i keep about 5 instances working on the screen, and go to street for a hour, then when i back , they all crashes, with the same crash which i catch yesterday. As you can see ABADCAFE in DAR , which mean we have accessed uninitialized memory. Stack trace point out in end of all on Warp3DNova, but that can be and SDL itself which cause that, and MiniGL, and Nova itself.. I will try now to just run 2 instances and keep they working for a while. I hope also Hans would take a look at the crash. I will try to reproduce it again but if it has to be a some kind of stress test, it will be hard and time-consuming. Correct. The program has somehow ended up using uninitialized memory. Actually, that's clearly MiniGL + Warp3D (the old one). Try not to get the old Warp3D and Warp3D Nova mixed up. No idea why any of the above would suddenly happen. Thanks for that fresh thread If a moderator could now please clean up that poor Wings thread, please? Also , maybe those "instability" issue with libtxc_dxtn wasn't libtxc_dxtn in end? May well be! That extension string thingy caused all kinds of undefined trouble, and it probably was pure coincidence that replacing the dxt stuff seemed to improve the situation on my side. I'd say, let's release the current version as 2.23 and remove Hans' old 2015 download from os4depot. The new version apparently is at least equally stable and contains many fixes and new features required for some newer applications. Regarding dxt: I put a new version online for you to check out. If that one behaves equally stable as the other, then I see no reason why not to use it. Can you update the version and date binaries? ... Perhaps both release numbers should be updated at 2.23 ? Yes, once we decided which of the two lib variants to use, I'll adjust version numbers, readme etc., and commit everything to the SVN. I'll also update the 7z there. Then we should use those final versions for os4depot too. 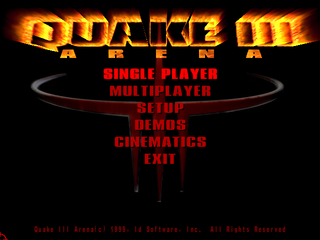 Have quick tested IoQuake3 and Smoking's guns .. both games now they showed a sort of FPS "broken" counter in the top area of the window... Are this added automatically from MiniGL? Yes, this is an MiniGL feature, toggle by the env-var MiniGL/FrameStats 1/on. That format string got broken at some point in the past, those broken chars (most likely due to some UTF8 editor madness) should be µs ;) Well, and the output formatting itself completely fails. IUtility->SNPrintf is used for formatting, using C printf-style %4.4f and such. AFAIK SNPrintf doesn't support %f, which explains why it shows only funny f's... Apparently this never worked and I have no idea who the hell put that there. I just fixed that too. I have no idea how it should look Nor if it's different with earlier MGL versions. Regarding that crash ending up inside W3D_SI: maybe give it a try on an R200 system and see what happens? Other than that, from my side, I'd say: step by step. I think we all agree that we can now more than safely get rid of that antique more buggy 2015 MiniGL on os4depot. Fixing even more bugs is sth. for the next version, especially if it's sth. were you have to stress the system quite a bit to provoke it. Now you can. Just now I updated both versions mgl / mgldxt accordingly. Actually both issues have been reported a long ago to Hyperion. For example running MiniGL Gears demo and resizing window can trigger garbage. (Sam440/M9 for example). Q3 menu freeze has happened from the day one on certain graphics cards (for example M9). It was debugged in ~2008 and W3D never returned from W3D_DrawElements call. For me it's hard to believe Q3 is buggy. I don't like to blame anyone/thing but for me the most logical place is W3D driver. Tried http://www.goldencode.de/tmp/mgldxt.zip , and it all the same in terms of rendering and stability as S2TC was. Just the library size smaller on about 500-600kb with dxt. I do test the same list as i test with last mgl, so far all the same, run them also one after another, etc. Absolutely. I don't blame Q3 neither. But there's more than MGL and W3D to make Q3 run on AOS4. And both libs rely on others. And then there's the fact that some issues are super hard to reproduce depending on hardware (or simply only appear on some hardware, starting with different gfx cards). So I'm not surprised that those issues aren't fixed yet. Very well! Then I'll clean it up, adjust version numbers, do the commits of the latest fixes etc. and then report back. Won't happen today anymore though. If I remember correctly, Q3 menu (flame anim) drawing is time-based. I was thinking about somehow "seeding" the time parameter to get the freeze immediate but then I lost either time or motivation.